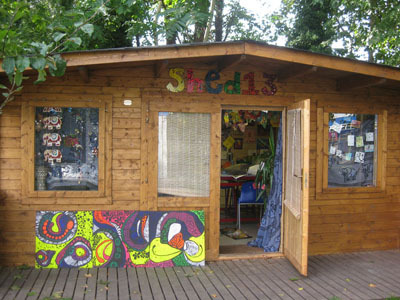 Shed 13 is a creative arts sanctuary where pupils of all ages can come and be creative through art and expression. Room 13 Cricket Green, or Shed 13 as it is better known, was established in 2007 by a team of young people from Cricket Green School in south London. They had already formed a School Arts Council, to organize arts events and activities. Room 13 Cricket Green began with painting and crafts sessions in one of the classrooms. After two years of hard work and lots of creative fundraising, the students finally achieved their dream of having their own studio built in the school grounds. 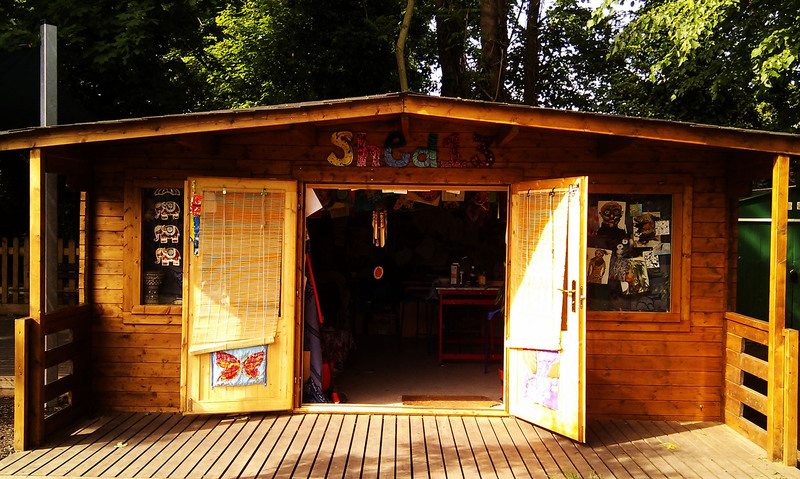 The Shed is run by Artist in residence Dani Brough, and Shed 13 Arts Council. 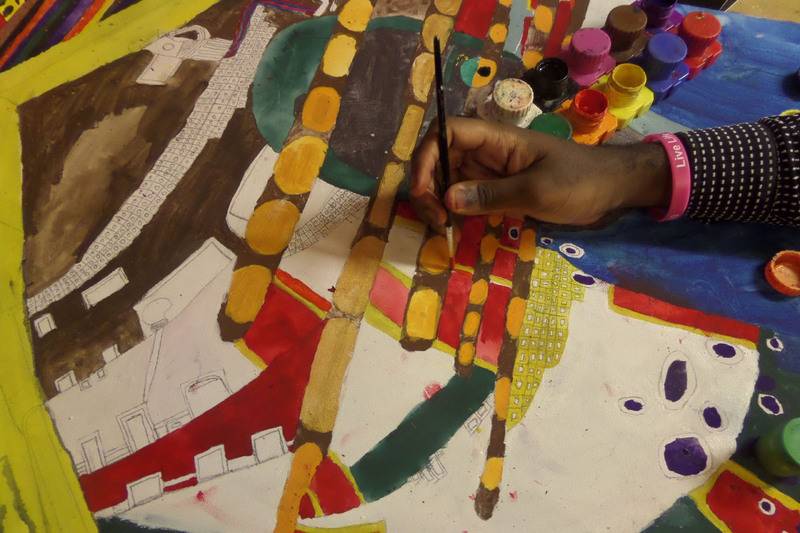 Dani assists the students with their artwork, introducing them to different mediums, styles, and cultures. 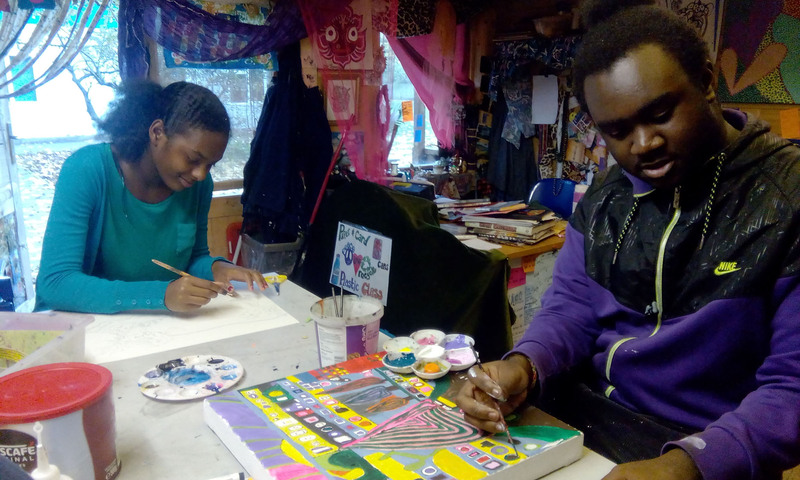 Together as a team Dani and the students take responsibility for keeping the shed running smoothly, order art materials, take care of the fund raising and help organise exhibitions and art outings and suggest what they’d like to do in Shed 13. 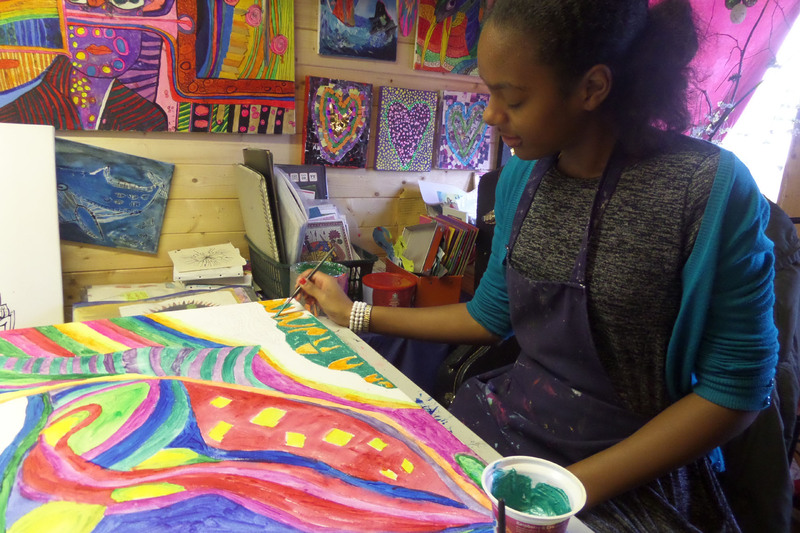 The School Arts Council maintains the studio through its enterprising initiatives. 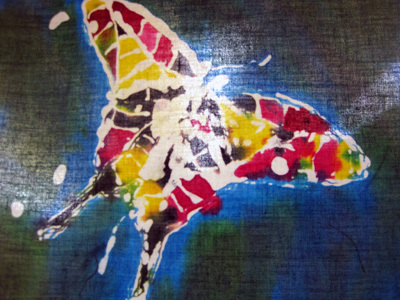 With help from the many artists in the school they make and sell cards and ceramics, and undertake commissions. 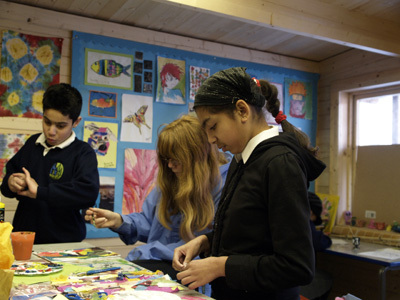 Cricket Green School provides education for pupils aged between five and 19, with a diverse range of learning needs. The studio is currently open to students for up to five days a week.